I am well aware that just because somebody (no matter what their ‘position’) says something to be true, does not mean it’s true. Exceptions, however can be made if there is evidence that goes beyond their words and correlates with what they say. At the end of the day, you have to listen to what your heart tells you. Paul Hellyer was the Canadian Minister of National Defense in the 1960’s during the cold war. He was responsible for combining the Canadian Air Force, Navy and Army into what is known today as the Canadian Forces. He was the highest ranking person (on paper) inside of the Department of Defence for Canada. 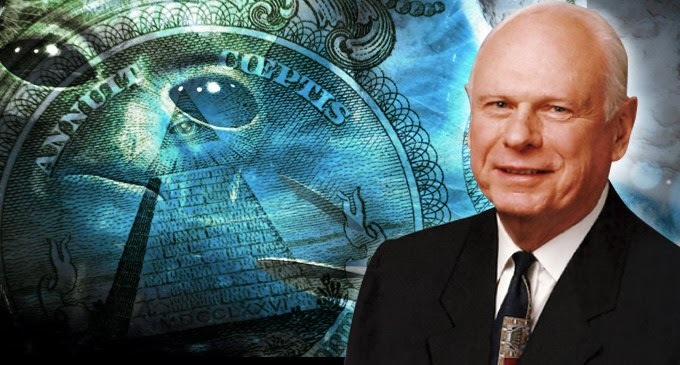 The Honorable Paul Hellyer is the highest ranking person among all g8 countries to openly speak about UFOs and extraterrestrials. He has been speaking about UFOs and extraterrestrials for quite some time now, and he recently made an appearance on RT news stating that there are at least 4 known alien species that have been visiting Earth for thousands of years. Upon retirement, Hellyer began to blow the whistle on UFOs and extraterrestrials. His testimony is backed up by hundreds of other high ranking military and political personnel all over the world, including official documents released by dozens of governments worldwide that have officially acknowledged the presence of UFOs. I think it’s also important to point out that the Canadian government recently acknowledged the fact that various federal agencies, including Transport Canada, the RCMP and the Department of National Defence used to track and investigate UFO sightings. (1) They claim to have stopped those programs, but that contradicts the defence minister’s (Hellyer) claims. There is good reason to believe, and a lot of evidence to suggest that some of these UFOs are indeed extraterrestrial space craft (not all military), and the activities of the agencies responsible for these programs goes far beyond just tracking of UFOs, but into contact with various extraterrestrial races, other classified technological developments and more. More Nephilim Proof! Ancient Artifacts In Iraq Museum Depict Aliens? Anunnaki? Reptilians?